Department of Arts and Culture (DAC) told the Committee millions of rands had been raised through the “Global Citizen” concert that was held on Sunday 2 December. However, it warned that the arts and culture sector was faced with a lot of financial burdens and needed to formulate a survival strategy. Briefing Members on its second quarter performance, the DAC stated that it had achieved 29 f its 32 targets. Those that were not met included the development of the draft on the feasibility and due diligence on the amalgamation of DAC public entities, the provision of supporting professional artists, and the provision to support capacity-building programmes. The Committee learnt that the Department had spent R2 billion of its R4.4 billion budget (47%) by the end of the second quarter. The Department had to pay R8.8 million in interest, based on a case that they lost after they questioned an audited financial statement and refused to pay an agent the final settlement amount of a project that had been done. There was a conflict between the DAC and the Department of Public Works (DPW), where the DPW had decided to undertake an infrastructure project on behalf of the DAC, and had decided to add features that that were not part of the agreement. The Committee was worried about this. The DPW had not been forthcoming to pay the outstanding amounts, and the DAC had had to carry the financial burden. Currently, the DAC owed R45 million. A report with a breakdown of how this occurred was expected to be provided to the Portifolio Committee by the DAC. The Committee heard that the draft White Paper proposed that national heritage institutions in the Free State, KwaZulu-Natal and the Eastern Cape should be consolidated, and that all national museum councils should be abolished. The White Paper itself sought to address issues such as inequality and poverty. The Committee considered and adopted the minutes of several recent meetings, but decided that the annual report and legacy report would be considered at a later date, as there was still a lot that needed to be investigated on both reports. Ms Maggie Sotyu, Deputy Minister: Department of Arts and Culture (DAC), said that millions of rands were raised through the “Global Citizen” concert that was held on Sunday 2 December. Musicians were now receiving their royalties, based on the Minister’s directive. She would like to see the capacity of entities affiliated with the DAC being strengthened to help them deliver on their mandate. The annual Archive Week was becoming popular, and learners were being taught good recording techniques. The arts and culture sector was faced with a lot of financial burdens and needed to formulate a survival strategy. The office of the Director General had recruited interns who would work for a period of 24 months, and would assist with handling Mzansi Golden Economy (MGE) applications. Ms Matildah Mogotsi, Acting Director General: DAC, said that out of 32 targets the DAC set, 29 had been achieved. The targets that were not met included the development of the draft on the feasibility and due diligence on the amalgamation of DAC public entities, the provision of supporting professional artists, and the provision to support capacity-building programmes. In the second quarter of 2017/18, 60% of the targets had been achieved, and during the same period this year, 91% of the targets had been met. 100% had been achieved for administration, 88% for institutional governance, 85% for arts and culture promotion and development, and 100% for heritage preservation and promotion. Regarding the targets not achieved, through the development of the draft on the feasibility and due diligence on the amalgamation of DAC public entities, the draft process had been completed and the DG had approved the inclusion of a tender in the government gazette, but no suitable service providers were appointable. A revised work plan had been rolled out to fast track the project. To date, a submission to the DG to appoint a successful bidder had been generated for approval. Ms Mogotsi referred to the number of professional artists’ projects supported, and said the programme had received three proposals that had been funded. The capacity building programmes had completed two incubators, and the other two outstanding capacity building projects would be funded in the fourth quarter. Mr Makoto Matlala, Chief Financial Officer: DAC, said the Department had incurred expenditure of R1.1 billion (96%) versus a quarterly projected budget of R1.2 billion in the second quarter. Against the annual budget of R4.4 billion, actual spending for the first half of the year reached R2 billion (47%). For compensation of employees (COE), the Department had spent 46%, and for goods and services, 47% had been spent. The Department had paid R8.887 million in interest on rent and land, which was a payment made after a court settlement. In households, 76% of the budget had been spent. In respect of public corporations (capital expenditure), 14% had been spent and was inclusive of R20 million which had been allocated to a Polokwane theatre that was being developed. The Department had faced challenges when it came to building centres for arts and culture. Mr T Makondo (ANC) asked about the R8.8 million in interest that had been incurred for rent and land. The Chairperson said that for four years in a row, the DAC had had the same financial problems. The Department needed to deal with these recurring issues. Where the Department was saying that they had achieved 100% of their targets, what did this mean? The Department needed to explain on black economic empowerment (BEE) targets, as well as their communication strategy. What did the monitoring report constitute? What was meant by “artist professional”? The Deputy Minister said that under-spending of funds budgeted for infrastructure had taken place. The funding for building centres was the same that had been used to provide resources for the centre. The Department faces challenges with title deeds when they want to start building projects. They only initiate projects at a later stage, after the municipality in the area confirms that they could make use of the given land. Ms Mogotsi said that the Department’s communication strategy involved using all the national days available to spread information through campaigns. The Chairperson interjected, and said that this was not communication, but rather marketing. She said that the Department needed to market an event, and not itself. Ms Mogotsi said that there was more that was being done. Other projects were being run by the Department outside of the national day's programme. The Chairperson said that the Committee was not happy with the communication strategy of the DAC. They needed to have an effective strategy. The stakeholders did not know how the DAC was performing. Ms Mogotsi said that a professional artist was one that did arts and culture work for a living, either as an individual or a company. The Chairperson asked how professional artists get identified and supported. Mr Matlala referred to the R8.8 million interest on rent and land, and said it was in relation to an MGE project in which the beneficiary, according to the Memorandum of Agreement, was meant to produce an audited financial statement to claim the final payment. The beneficiary produced the statement, but the DAC was not satisfied because there were issues with the beneficiary. The Department had been taken to Court, and it had taken more than two years to be resolved. The Department had lost the case and the Court ruled that the beneficiary had to receive back pay, with interest. He said 70% percent of a procurement should go to a BEE compliant provider. In the current financial period. 76% had been procured via BEE compliance. In infrastructure, there were a lot of challenges involved. Through the Human Settlement Development programme, the quotation that they were given by an implementing agent had not been justified. There had been an inter-departmental transaction arrangement to pay the agent. The other Department was the Department of Public Works (DPW). There had been a conflict between the DPW and the DAC over the funding of national archives. The DAC had got a budget for a national archives project, and had approved it for R92 million. However, the DPW had approved a service provider with a budget of R182 million. The DAC owed the DPW an estimated R45 million. The Chairperson said that it should not be the problem of the DAC that the DPW had gone and agreed to a service provider outside of the budget. 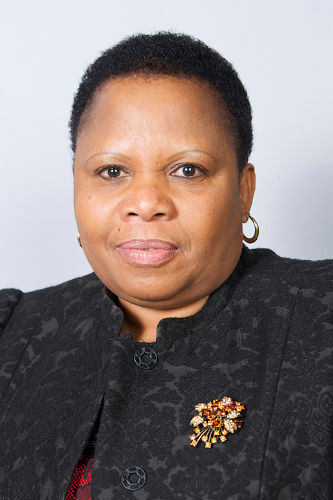 Ms S Tsoleli (ANC) said that there was a contractual agreement between the DPW and the DAC. There should not be any amount owing, as the DPW had actioned something on their own will, and that was outside of the contractual agreement. Mr Matlala said that a meeting was once held between DAC and DPW, in which Public Works agreed to pay some of the money to the service provider for their wrong, but they had never paid the funds. Mr Makondo said that he wanted a simpler explanation about the issue at hand. He asked if the DAC had agreed to pay the outstanding amount, based on the decision that the DPW had sanctioned. Mr Matlala said that the DAC did not agree with the way the project was handled, and the DPW was not willing to pay. The Deputy Minister said that the agreement was only for the infrastructure. The DPW included things which were not part of the agreement. They put in extra things such as air-conditioning, and this was not part of the agreement. Ms Mogotsi said that strong monitoring needed to take place when it came to the DPW. A lot of issues had been associated with the Department, and they came with financial implications. The CFO said that in the current financial year, R1.5 million had been set aside for overtime. Some of the money was paid to people who work on public holidays. The Chairperson said that vacant posts needed to be filled. What was happening about vacancies? Ms Mogotsi said that they had advertised posts, and had a list of short-listed candidates from the human resources department. Mr Matlala said that in terms of identifying professional artists, proposals were sent to the DAC. The Department also did focused targets in specific areas. The Chairperson asked how people knew about what the DAC could do. Communication played a vital role. Mr Matlala said that the DAC did roadshows to make themselves known. A DAC official said that the Department was working on a plan to ensure that communication was effective. Initiatives such as community roadshows were in the pipeline. Mr Makondo asked how often the Department got applications from professional artists seeking support? What was the contingency plan for those who were not in the know about the application process? Mr Matlala said that when road shows were done, documents were taken, and complaints were taken down. Ms Mogotsi asked what provinces were being visited. She said that the Department's level of communication was not good. A member of the DAC said that they had established a call centre to handle queries. The Department was developing a plan to ensure that there was a smooth flow of communication. Mr G Grootboom (DA)said that the roadshow project should have been started a long time ago, and not now. Mr Matlala said most of the applications for funding came from Gauteng and the Western Cape, but now more applications were coming from Mpumalanga, Limpopo and the Northern Cape. The Chairperson asked about the application process for funding. She needed to know so that she could also educate people on how to do so. Mr Matlala said that applications could be done via the website of the DAC. The applications were processed quarterly. The Department had an internal panel that assisted with processing applications, and they had since sought assistance from external sources to help with the processing of applications. When the Department conducts its roadshows, application forms were also received. Mr Makondo asked if it was possible for him to visit the Department's website, and if he could access the application forms easily. Mr Matlala said that it was possible for him to do so. Draft White Paper on Arts, Culture and Heritage. The Chairperson said that the White Paper had reached a very important stage, and she was happy about this. The Deputy Minister said that they had been waiting for the draft for a long time, and it had gone through both Cabinet and Parliament. The Acting DG said that the DAC had gone through various consultations around the White Paper document itself. The White Paper contained information about efficiency and effectiveness. It also highlighted various courses of action for entities, and the benefits expected from the White Paper. Professor Andires Oliphant, Chairperson: DAC Reference Panel, said that one of the main aims of the White Paper was for it to be more inclusive. In the newly proposed dispensation -- under the South African National Arts and Audio Visual Council – the performing arts, visual arts, craft and design, creative writing and audio-visual development would be covered. The South African National Heritage Council would now oversee museums, monuments, heritage resources and sites, geographical place names, heraldry, archives, libraries and information services. Additional clusters for existing national museums in provinces would be established. It was proposed that national heritage institutions in the Free State, KwaZulu-Natal and the Eastern Cape would be consolidated and that all national museum would councils be abolished. A South African book and publishing development council was set to be established and would be constituted by one representative each from publishing, printing, book trade, authors, editors, translators and the Departments of Basic Education, Higher Education, and Small Business Development. Professor Oliphant said that the updated policy was designed to address issues such as inequality and poverty. It eliminated fragmentation and duplication. It sought to address the shortcomings in existing policy. There would be a more streamlined and integrated dispensation. It would promote greater efficiency and effectiveness, enhance coordination of intergovernmental and international cooperation, enhance access for marginalised urban, peri-urban and rural communities, and would emphasise effective implementation and regular monitoring and evaluation. The Chairperson thanked the Professor for his presentation. She said that DAC tended to fund the same institutions year in year out, and this needed to be rectified. There was no theatre in the Northern Cape -- how could they address this to ensure that they get access? Mr Grootboom said he was worried about the provincial representation on the councils, as those coming from smaller Provinces might not be represented. How would this be addressed? A Member asked about centralisation. He said that a lot of councils that currently were not functioning were the ones that would be centralised. Would a centralised approach work? South Africa was very diverse, so could there be one council that would be able to meet the needs and demands of everyone? Would it not be easier to have provincial, rather than national, councils? Professor Oliphant said that the system that was meant to be established needed to be one that was coordinated. The national councils would need to work with the provinces to have a consolidated system in place. There should not be a shortage of representation within the provinces, based on the proposed structure. The Chairperson said that because of time, she would make a follow up on the DAC entities’ presentation and on the Bills, and this would be dealt with at a later stage. The Chairperson asked Members to consider and adopt minutes of meetings dating back to August..
She submitted the minutes of the meeting that took place on 28 August. Mr M Rabotapi (DA) and Ms V Mogotsi (ANC) moved for their adoption. She put to the Members the minutes of the meeting that took place on 4 September, and pointed out pages three and four of the report on the employment of the Chief Executive Officers. She said that there should be areas where it was clarified on how executive members of entities were recruited. A platform should be created for discussion around this, and a legal framework should also be arranged. Mr Grootboom and Ms Mogotsi moved the adoption of the minutes. 9 October -- Ms Mogotsi and Mr T Makondo (ANC) proposing and seconding. 11 October -- Mr Makondo and Mr Grootboom. 16 October -- Mr Makondo and Mr Grootboom. 23 October -- Mr Makondo and Mr Grootboom. 6 November -- Ms Mogotsi and Mr Rabotapi. 13 November -- Ms Mogotsi and Mr Rabotapi. The Chairperson put to the Members the minutes of the interviews that took place between 21 and 23 November. Ms Mogotsi and Mr Rabotapi moved their adoption. The Chairperson said that the Committee’s Annual Report and Legacy Report would be considered at a later date, as there was still a lot that needed to be investigated for both reports.